Arrive at the tiny St. Barts airport, one of the most exhilarating runway landings in the Caribbean, and transfer to your yacht in Gustavia. Change your body clock: lunch is mid-afternoon and a table is available for dinner at 9:30 – “if you wish to eat that early.” Explore the big-name shops along the quay that rival Rodeo Drive, but don’t miss the stylish local boutiques, and other insider spotstoo. Tour the island by car. Stop at Corossol for the woven bags and hats from this ancient fishing village, savour the boutiques and restaurants at St. Jean, and have lunch at either the trendy Nikki Beach or the ultra-luxe Eden Rock hotel. 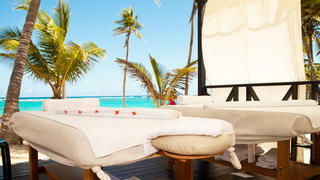 You might schedule a treatment at one of the many spas, some of which are the best in the Caribbean. Later, dance until the early hours at Le Ti. Your chef and crew provide a late brunch at your leisure. 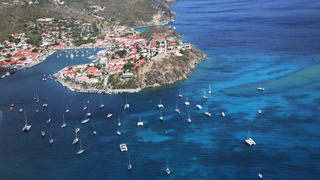 Leave Gustavia and circle the island to Colombier, a perfect cove with reached only by boat. 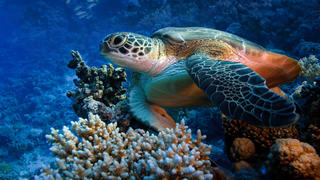 This is your day to play with the yacht’s water toys, snorkel over the reef, loll on the beach, and comb for shells. Dine later under the stars in the soft, warm breeze. 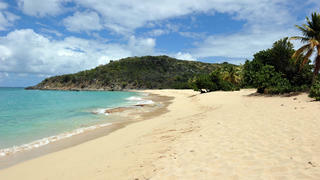 Just a few miles from St. Barts, this deserted island is perfect for snorkelling, brimming with rays and turtles. Up for more adventure? Paddle a kayak or explore by foot to see the ruins at the hilltop. Tonight, head for the bubbling yacht spa tub with an icy flute of champagne. 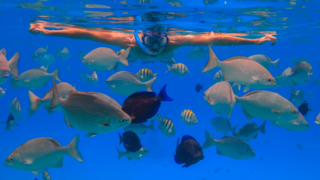 Just 80 acres, this is an island paradise with a few funky beachfront bars and restaurants, plus fantastic waters perfect for snorkelling. 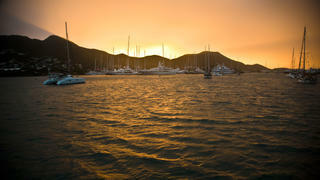 Your yacht crew can show you where the “natural spa” near the beach is located. Here you can cake yourself with reddish mud, let it dry on the sand, and then rinse off in the sea for the softest skin ever. There are many attractions on the French coast of St. Martin, from a pampering spa treatment followed by gourmet cuisine in a wine cave at the luxe La Samanna resort to the casual “lolo” open-air restaurants for creole barbecued ribs and shrimp. Swim and play at Long Bay, truly the longest – and emptiest – beach on the island, widely regarded as one of the best beaches in the Caribbean. The heart-stopping highlight of this trip might be passing under the narrow bridge to Simpson Bay with only inches to spare. Save time for a last-minute fling at the very upscale Le West Indies Shopping Mall before catching your flight home.